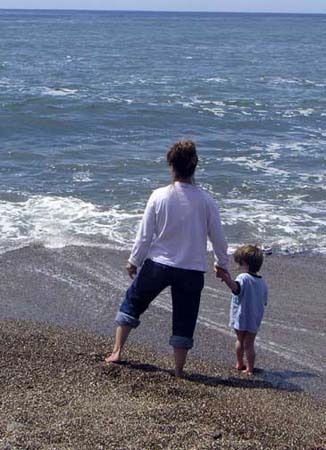 My mother held my hand near the surf when I was this age. Gazing over the Pacific Ocean is always a peaceful, yet thrilling, experience. I was born in Santa Cruz, about 40 miles south from this spot.